On August 21, men, women and children gathered all over the country to watch the solar eclipse. While the eclipse was fascinating to most of us, it had a special significance for many Native Americans. Some Native Americans viewed it as a solemn occasion, some saw it as a cause for celebration and some did not watch at all. In Navajo culture, the sun is “reborn” as the moon passes over it, and many Navajo people take the eclipse as a time for quiet reflection. Rather than joining the hundreds of Americans gathered outdoors to watch, many Navajo took the day off from work and avoided talking, lying down, eating and drinking. For the Navajo, looking directly at the eclipse is harmful not only to one’s eyesight, but for one’s health in general. Members of the Lakota tribe don’t consider the eclipse harmful, but they do view it as a time of solemn observance, when they pray for the sun and light to return to the world. For the Crow tribe in Montana, the eclipse coincided with their New Year and annual Parade Dance and festival, when they open their lands to celebrating visitors. The Eastern Cherokee tribe near the Great Smoky Mountains welcomed spillover eclipse-viewers from the nearby park. Cherokee warriors performed a dance depicting a Cherokee legend – that when the sun or moon is eclipsed, it’s because a great frog is trying to swallow it. The dance celebrates the frog’s defeat and the sun’s return. If you’re interested in arts and crafts from Native American tribes, Kachina House offers authentic, one-of-a-kind creations by the indigenous peoples of North America. 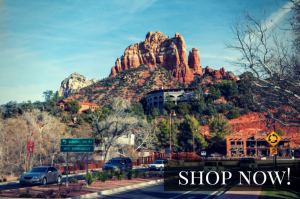 Browse our website, visit our store in Sedona, or call us at 866-587-0547, and purchase beautiful and unique jewelry, baskets, pottery, Kachina dolls and more!